But it’s not a season two per se, season two implies it’s the continuation of the show with the same cast in my book. So this is more like another story in the same world of spoiled rich kids and the unending formation of cliques on prestigious academic platforms. The cast is completely different but the structure is the same. They’re the next generation who should have known better but still chose to emulate the previous elitists in the same school. You might ask: doesn’t that count as a season two? …. Fine. A sequel to the original then. Boys Over Flowers is a Japanese shoujo manga series by Yoko Kamio. It has already seen several adaptations in Taiwanese, Japanese, Korean, Chinese and maybe even other loosely based drama and live adaptations. One thing I can say about this is that the Japanese adaptation is my favorite among them, not just because I was too young to appreciate the Taiwanese adaptation (Meteor Garden) when it was at the height of its popularity, but also because of the leading actors in the drama. Doumyouji Tsukasa, Makino Tsukushi and Hanazawa Rui introduced themselves properly in my drama life through the performance of Matsumoto Jun, Inoue Mao, and Oguri Shun and I have a soft spot for them ever since! Hana Nochi Hare is also based on Yoko Kamio’s manga with the same name. That’s why it was so shocking to discover Hanahare months after it had already aired and not a whisper of news reached me during it’s airing period. I saw the first three episodes of the show and I decided to share my raves and ramblings before my motivation wanes and another post is lost from my procrastination. 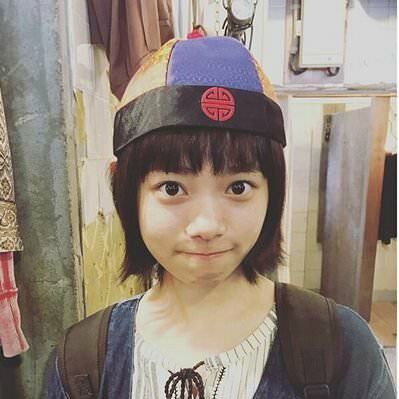 Let’s prod this post along with the help of this drama’s predecessor. In other words, a comparison to the prequel because we all know it’s inescapable. The plot is very similar to the original but it still has some elements of its own. Ten years have passed since Tsukushi Makino and Domyoji’s F4 graduated from Eitoku Academy, a once prestigious school which is now suffering a decline in funding and student enrollment. The story now follows Kaguragi Haruto, the leader of the Correct 5, who admires Domyoji Tsukasa and hopes to fix Eitoku Academy’s falling reputation. The series’ heroine, Edogawa Oto, tries to hide her family’s bankruptcy so the Correct 5 will not force her to leave the school. 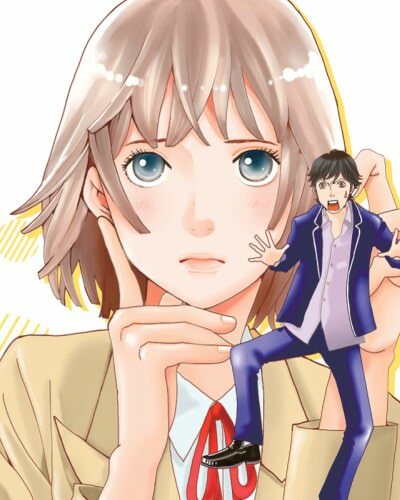 Haruto inevitably falls for Oto and is also faced with a formidable rival in the form of her fiance, Hase Tenma who also serves as the student council president of Momonozono Academy which is the quickly rising rival of their school. Same with Hanadan, the story revolves around the female lead and she is in a place where she has to struggle to fit in and to hide her secret. She is now poor. Unlike the other incarnation of this heroine, she was not originally poor so that adds another layer to her character because she could now understand the value of what she had and she learned to be satisfied with the simple things in life when she became poor. I love this aspect of her and Sugisaki Hana portrays the spunky heroine Edogawa Oto really well! The torch passed from Doumyouji Tsukasa to Kaguragi Haruto. And he likes to think that it is his idol’s will too. Haruto idolized Tsukasa so much he has a hologram of him in his room. Points to you Haruto – I adore a fanboy! I like the fact that even though his character closely resembles Tsukasa who is considered the leader of his peers and heir to the biggest conglomerate in the country – they made his character weak in contrast to Doumyouji Tsukasa’s wild and violent one. He doesn’t fight and is also an avid fan of lucky charms and trinkets. Both Haruto and Tsukasa also maintains that childish innocence that endears them to the audience. Like a lost little boy who just wants to be loved. This probably stems from the neglect they suffer from their ever busy parents. Haruto’s character is really charming and I think the actor Hirano Sho delivered it well that those watching are easily able to warm up to him. This clumsy male lead who is full of weaknesses is just a character development waiting to happen. He met a worthy adversary when faced with the leader of the rival school – Hase Tenma. 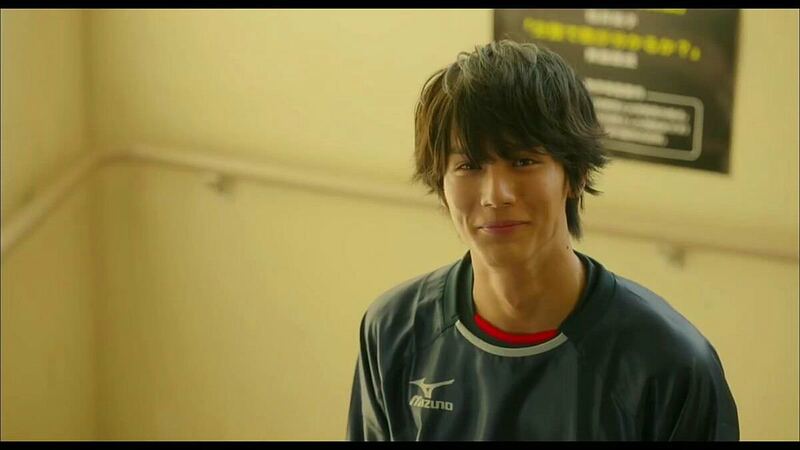 I am glad that he is in Hanahare but at the same time annoyed because I want to watch him be the lead and get the girl for himself! I thought that he was too good an actor for the second lead to be honest. Not to mention that the character he played is also a perfect one. It felt like all the scales were on his favor. He is definitely a formidable rival. I was literally on his ship for that first three episodes! He’s the literal prince charming in a white… err.. uniform. I think Haruto will be playing catch up to him in this series because he’s the ideal that he will strive for: a capable leader, a perfect gentleman, confident in his own right, and most importantly a perfect partner for Oto. Then there’s the F4 counterpart in this drama… Maybe when they’ve finally made an impression as a group I’ll share more on the so-called “C5”, as of now they lack the elite charisma and presence to establish their top dog status in the school in my eyes. And finally the cherry on top, the one that sealed my fate into writing this post was because of the cameo that supposedly broke twitter when it aired. I knew this fact after and not during the whole debacle which just saddens me again, but this fangirl’s heart could not be contained when Matsumoto Jun appeared as Domyouji Tsukasa! 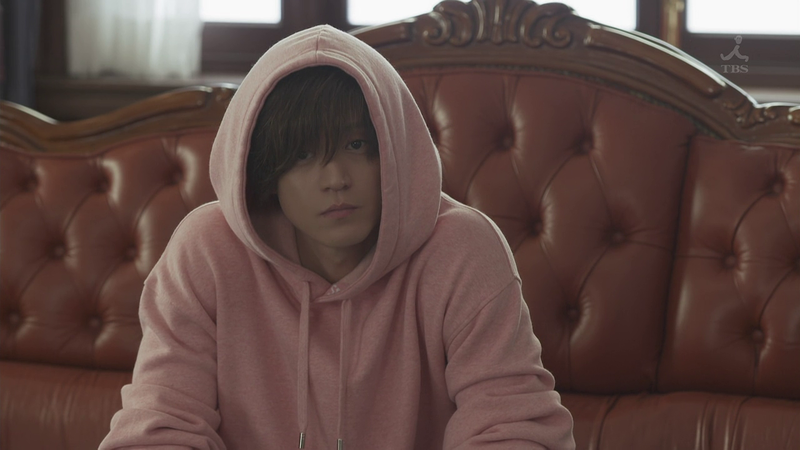 Oguri Shun also graced us with Hanazawa Rui in a pink hoodie in the third episode and I just about lost it there! So that’s why I needed a breather for a bit and decided to write instead. I wonder if this trip down nostalgia lane will continue and if more cameo will happen along the way. I guess I’ll find out soon..
Next If BTS Were Their Own Songs, Which Are They? Typical rom-com :’) This one only has 11 ep I think. Funny I already finished that recent Meteor Garden chinese version but was never inclined to write a post about it. Probably because of it’s length too..
Ooo! 11 is the PERFECT AMOUNT! Ya. Meteor Garden started out super cute and entertaining, and then became a bit of a slog and almost seemed to have lost the point! Ooh if you want more of that perfect amount you better stick to japanese dramas then haha. They’re usually shorter than korean and chinese series. And the ending was not as satisfying.. a bit cringey too. I’m watching Meteor garden now and I didn’t even know when I started that it was going to be like Boys over Flowers haha. I think I will have a fun comparison post in the future about them! I heard there’s another cameo or something but I won’t spoil myself until I’ve seen it. This reminds me I haven’t still finished this one!